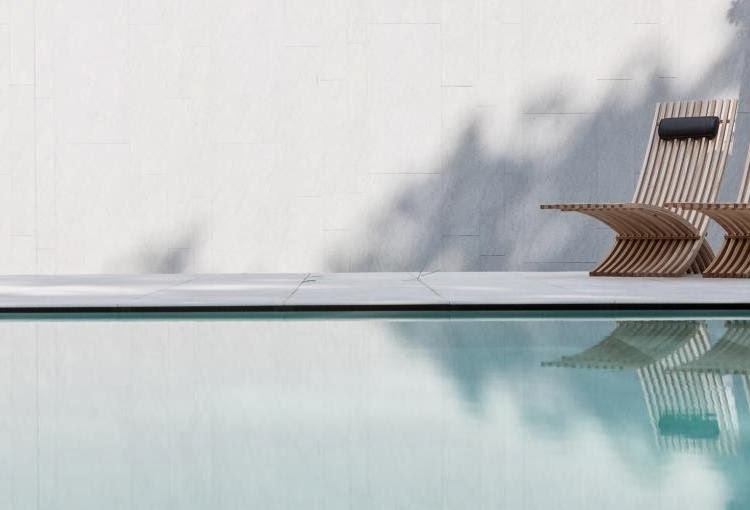 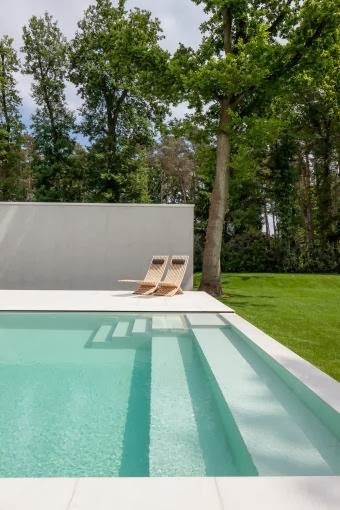 SimplicityLove has been recently introduced to the splendid work of Belgian outdoor designers 't Huis van Oordeghem. 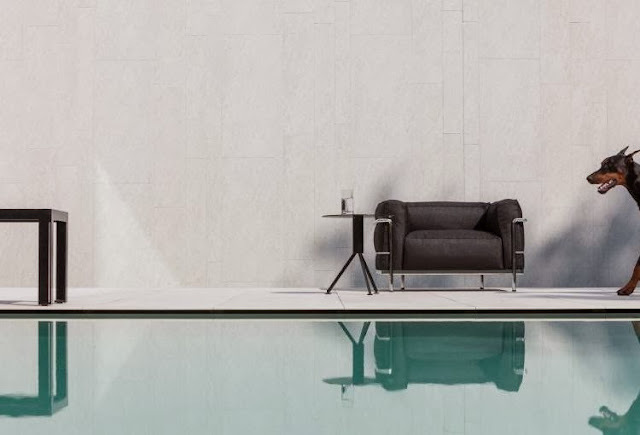 The brands in their rich catalogue include Knoll, Cassina, B&B Italia, Arper, Gandia Blasco, Tribu, MDF Italia, WhenObjectsWork etc. 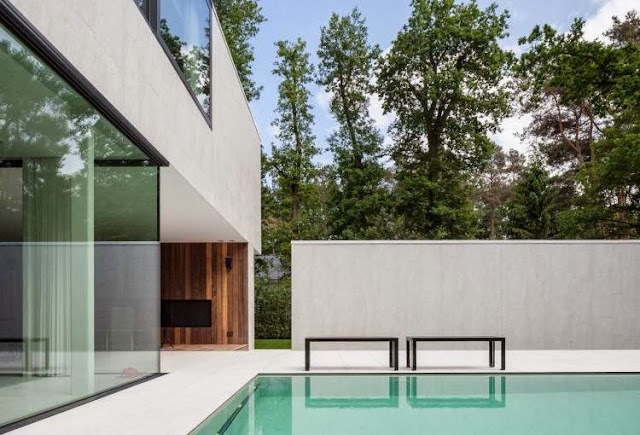 One of 't Huis van Oordeghem recently completed projects, Villa D in Keerbergen, Belgium, clearly shows the team’s sophisticated work and distinctive approach, which is amazingly photographed by Thomas De Bruyne. 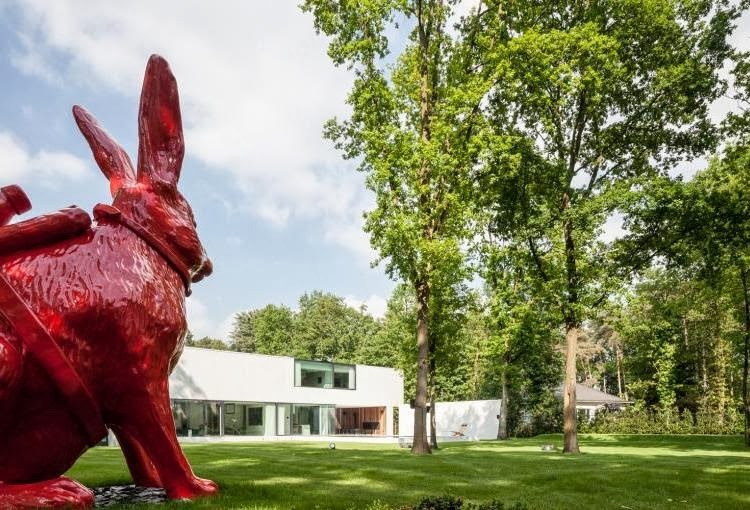 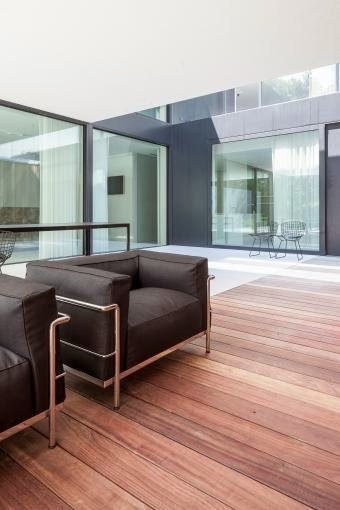 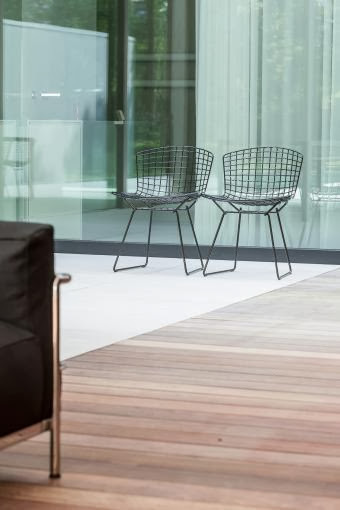 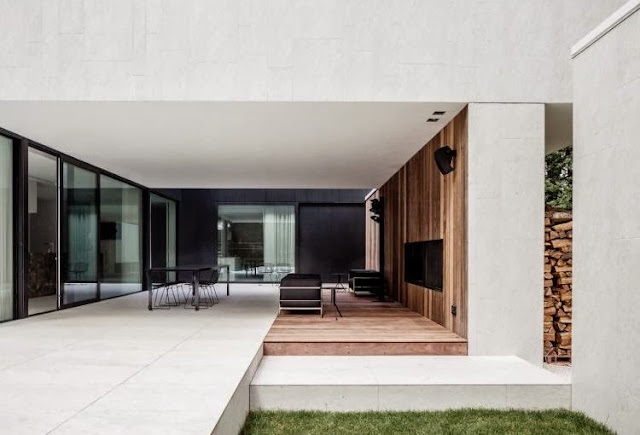 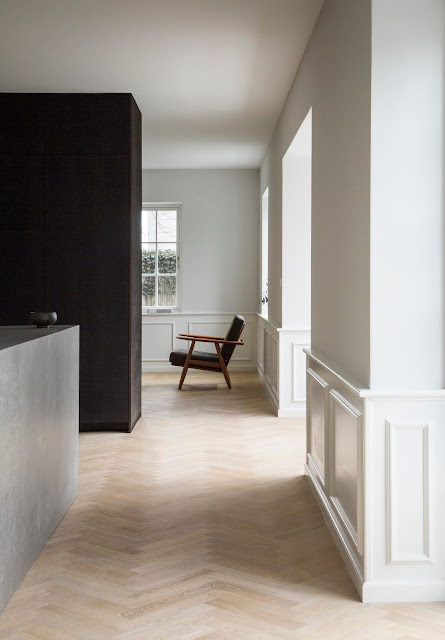 The house is originally designed by Brugge based architects YsenBrandt & Partners, with clean lines that create a contemporary residence that amazes with its simplicity and carefully selected materials palette. 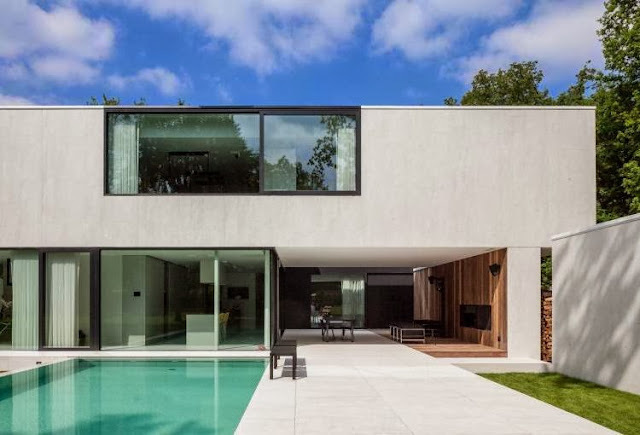 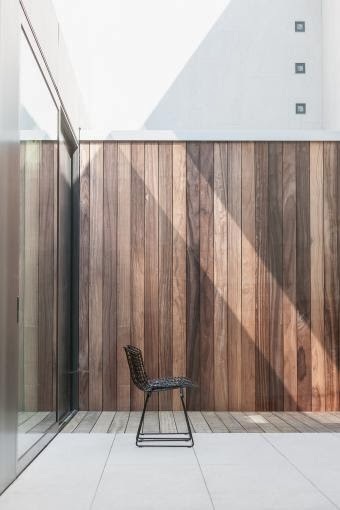 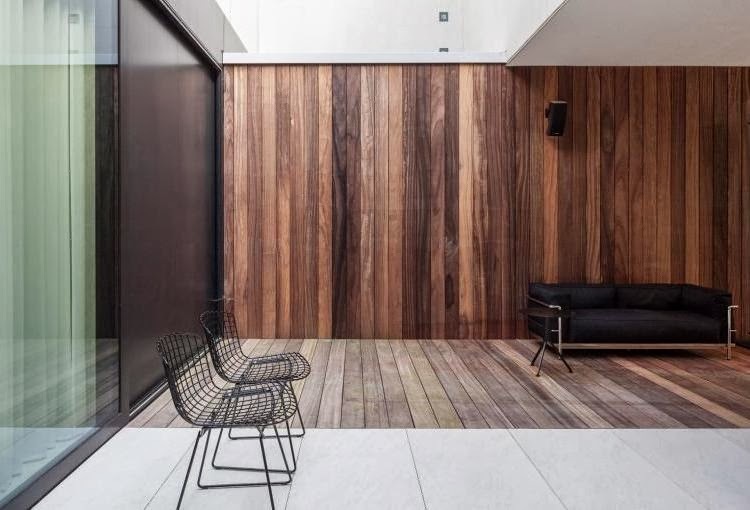 The building extends outdoors to the garden through its floor to ceiling glazing, wooden and paved terraces and an outstanding rectilinear swimming pool. 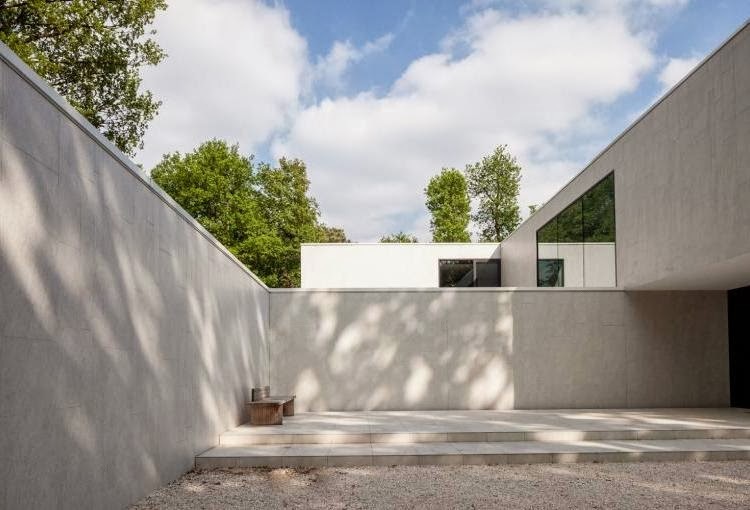 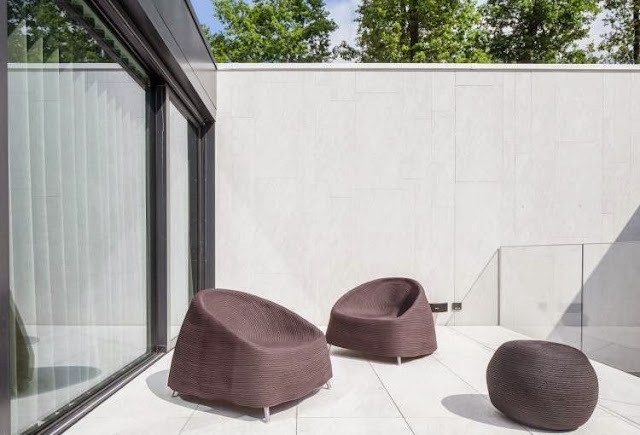 Designers 't Huis van Oordeghem completed this setting by transforming the outdoor space into a real gem. 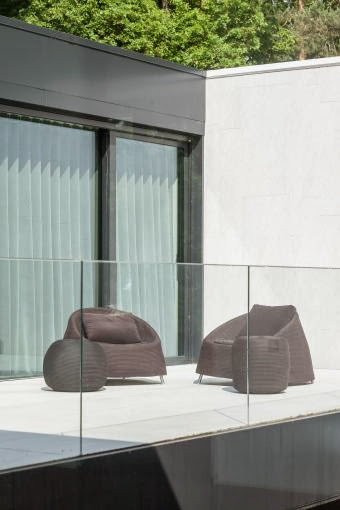 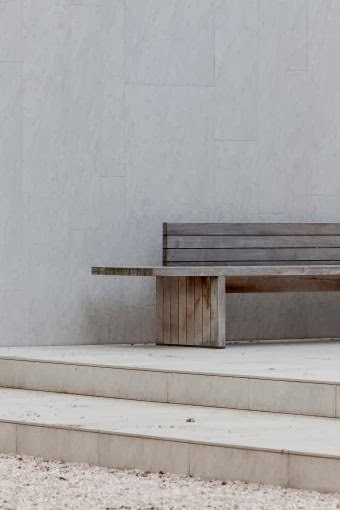 A perfectly matched selection of outdoor elements and pieces of furniture results in a unique, breath-taking place where it seems as if the right item has been selected for each place.